After a tug-o-war of sorts, The Batman has finally caught Matt Reeves in its bulky, creeping grasp. Ben Affleck was all set to direct, but pulled out a couple of weeks ago to focus on the story, the character and avoid the stress of directing and acting with such a high-stakes project. 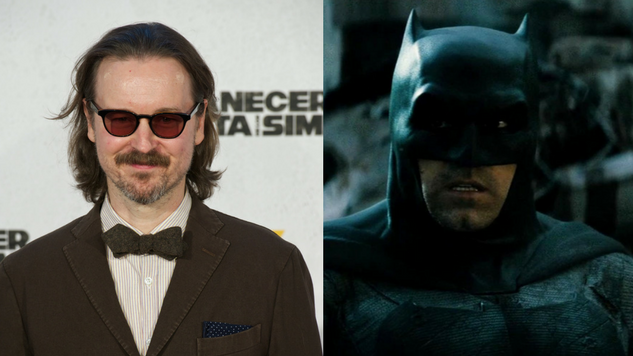 Reeves supposedly dropped out during negotiations almost a week ago, leaving the public to wonder why it’s so hard to get a Batman movie made these days, only to reach an agreement with Warner Bros. today, per Variety. Reeves, most notable for the super badass Dawn of the Planet of the Apes and this summer’s forthcoming (likely also badass) War for the Planet of the Apes, is an excellent choice to potentially save Batfleck from himself. After appearing in the critically derided Batman v Superman, most agreed that Batfleck was the shining beacon of hope in an otherwise incredibly dark film, providing a new, unseen take on the character that really lended itself to be portrayed in a solo film. In comes The Batman, but, so far, pre-production has been plagued with upsets and and stalls due to rewrites and the, until now, seemingly-never-ending director search. On top of that, rumors are still swirling that Affleck wants out entirely. The Batman is still in pre-production, but now that it has a director, things are promising. So we’ll hopefully get the solo Batman film sometime in 2018, unless another director escapes the clutches of the Cowl of Justice.